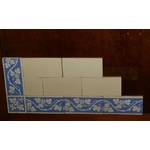 We usually have a selection of ceramic and Vitrolite tiles removed from bathrooms available. 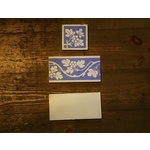 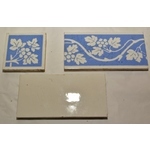 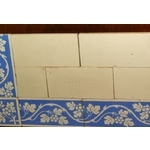 A large number of white 6 x 3 inch Victorian tile panels, with blue & white oak leaf border. 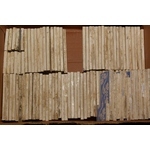 Aprox 2 sq yds available.